If you have a laptop I am afraid that this tutorial is not going to be of use to you. If your machine will not boot ( you get no post beeps ) and you DON’T get the Blue Screen of Death it is most probably a hardware problem. If you are getting a STOP error ( BSOD ) then post the problem and error in the appropriate forum. 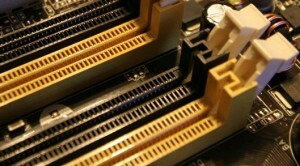 Unfortunately there are numerous pieces of hardware inside your case and any one could be causing the problem. 1. Switch off at the wall. 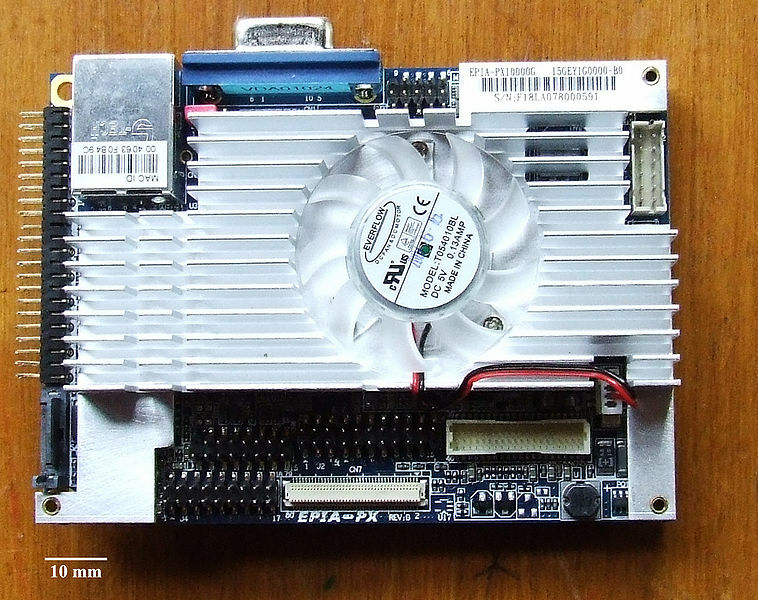 This ensures that there is no power getting to the motherboard from the Power Supply Unit. This keeps the earth ( ground ) connection from your motherboard connected via the house ring-main circuit. 2. Disconnect the printer / monitor and any other external devices. We are checking the system’s hardware and it is important that ALL devices are disconnected. 4. 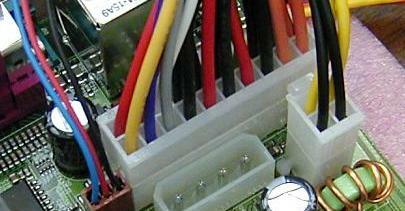 It is advisable to wear an anti-static wrist strap when working inside the case. If you have not got one then ground yourself by touching the bare metal case. 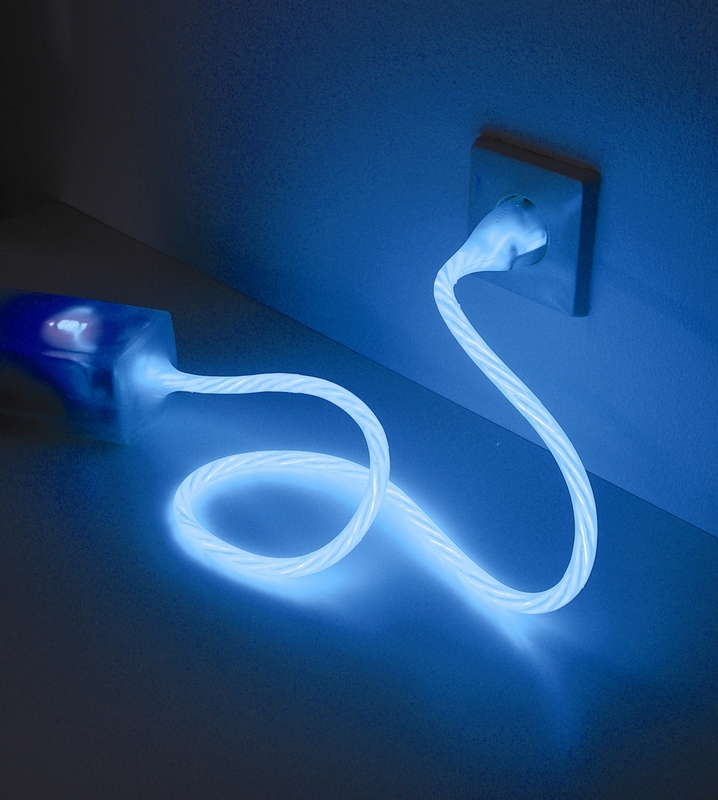 Your system is still connected to earth ( ground ) so there should not be a problem with static. 5. 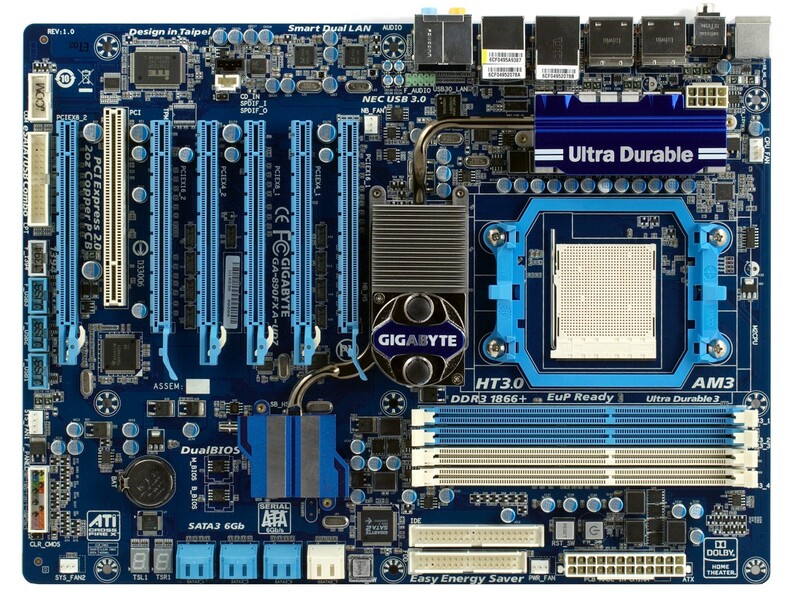 You now need to remove ALL cards that are connected to the motherboard. Take out the RAM Modules. To do this you will need to release the locking levers – shown here. Push them away from the module. The RAM module will be released and you can remove it. Remove the Video Card ( if you have one ). Some systems have on-board video. This means that the Display Adapter is a permanent attachment on the Motherboard. The cable ( wire ) from the monitor was attached to the Display Adapter ( Video Card ). You should have removed this earlier. You may need to take one small screw out that holds the card in place. The screw will be located as shown by the arrow. 6. Once you have removed the Video Card you need to remove any other cards too. 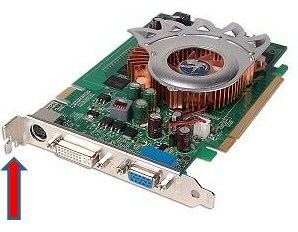 You could have a Network Interface Card ( NIC ) ; Sound Card ; Wireless Adapter etc that will need removing. 7. Next you need to remove the power connection(s) to the Hard Drive and the DVD CDROM. 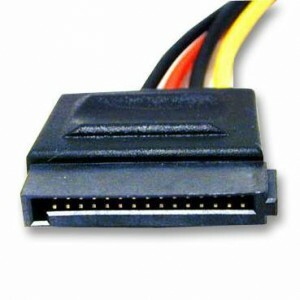 Depending upon which type of Hard Drive you have you could have a Molex or a SATA Power Connector. 8. 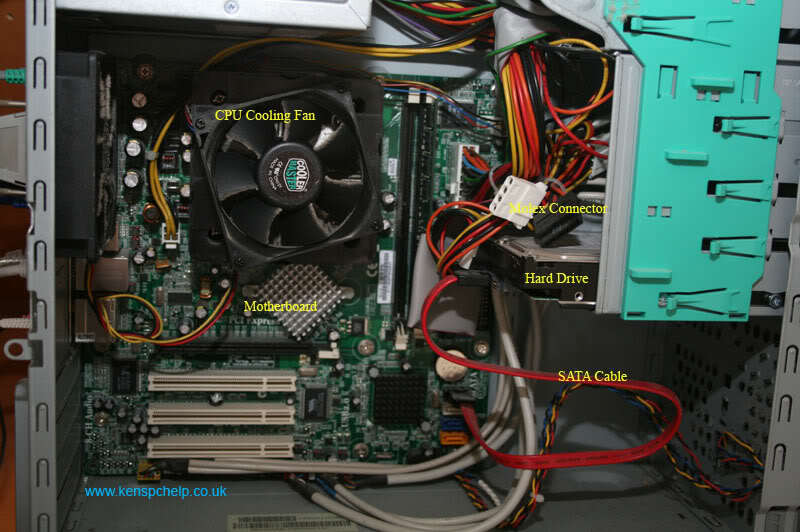 Next – follow the data cables from the Hard Drive and DVD CDROM back to the motherboard and disconnect them. 9. 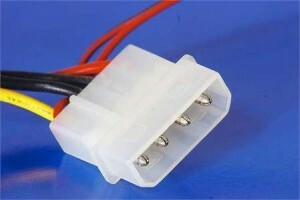 You should leave ONLY the 20(4) way connection from the PSU connected. 10. Once you have all cards and connections removed switch on at the wall. You should get POST beeps. If you do this is good. If you get NO Post Beeps go to 13. 11. Now you need to put the cards back one at a time. Start with the RAM. Put just one module back and try booting the machine. You should still get POST beeps. Shut down and switch off at the wall again. If this is OK put in the other RAM module(s) and try booting again. 12. Repeat this process with each Card and Connection. Do this one at a time – testing after each addition. 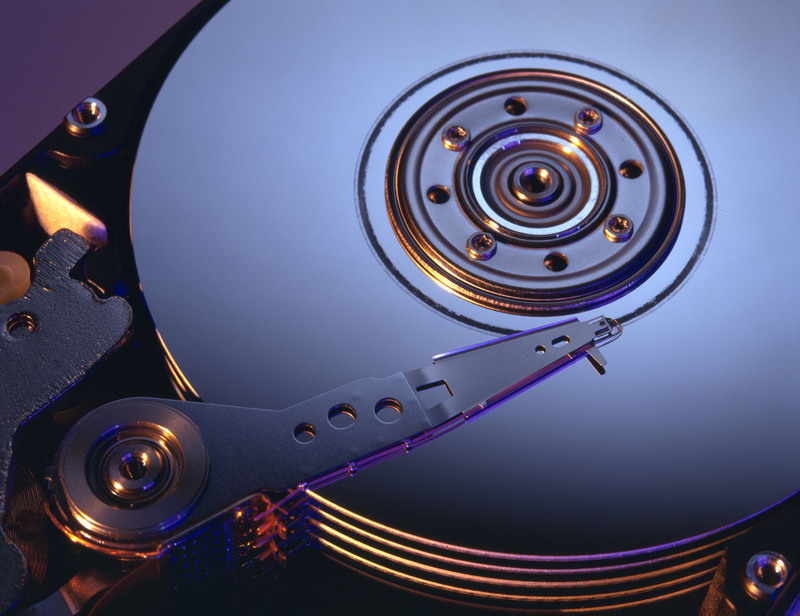 If the problem replicates – you have located the faulty hardware. 13. You will only get POST beeps if there is a small speaker connected from the motherboard. 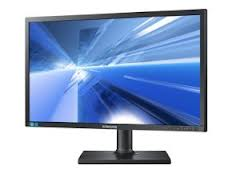 If you do have a speaker connected and you are NOT getting any beeps they you either have a Power Supply Unit or Motherboard problem. Previous articleHow do I Use my Password Reset Disk ?